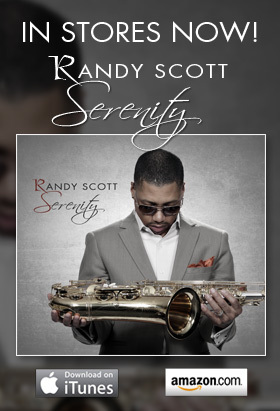 Randy is a professional musician, record producer and composer. His 4th CD entitled, Breathe remained in the top 40 nationally for five months, and is available through most major retailers and record stores internationally, as well as online through iTunes and Amazon.com. In 2008, Randy produced four songs on Vickie Winans’ CD, Woman To Woman. He also worked on her recent single, How I Got Over, which debuted at #1 on Billboard. In 2009, Randy produced seven songs for jazz guitarist, Tim Bowman’s CD, which was the #1 record in the nation on the Smooth Jazz Charts. Randy recently signed a new record deal with Trippin N Rhythm Records, which is distributed by Sony, and performed as their new artist in Dubai last year. This summer will bring the release of Randy’s 5th CD, which is currently in production. He has been awarded two Gold records, two Platinum records and one Multi-platinum record for his work on a Gospel Wow compilation CD and recordings with Grammy award winners, Kirk Franklin and Fred Hammond. Randy has a Bachelor’s degree in music education from Michigan State University and a Master’s degree from Wayne State University. He contributes all of his accomplishments to his faith and belief in God.